Doing another little 101 of sorts. 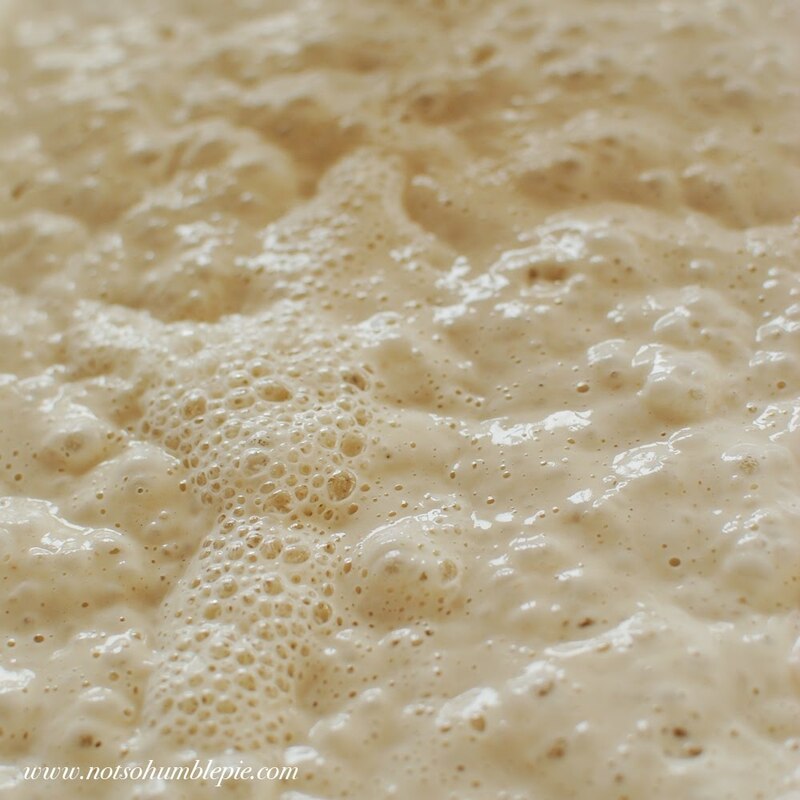 Today's post is on how to create your own sourdough starter. Ms. Humble asked me to write up a guide on starting your own natural yeast starter and I quickly agreed (I don't want to get into trouble). Making one is very easy, though you wouldn't know that from reading most of the information about it on the Internet. Not only is there virtually useless information, but there is also exceptionally bad advice. I will cut through all that, explain some possible pitfalls, and give you what you need to know to create your own natural yeast starter. I do not know if any of the supposed health benefits of using a natural starter are true, as I haven't bothered to do a literature search. It could be pure quackery, simple truth, or a happy medium. It doesn't matter. A real reason to use a natural starter is because of the bacteria Lactobacillus. As the Lactobacillus bacteria grow, they create an acidic environment hostile to many other organisms (the icky ones you don't want), except for strains of acid-tolerant yeast. This helps the bread's texture, shelf life (it won't turn into a hard brick after 12 hours on the counter), and imparts a distinctive flavor. You do not need any of those things you occasionally see called for on the internet: sugar, potato/pasta starch water, bits of vegetables, or store bought yeast. Just flour and water. The wheat comes with its own wild yeasts, the nutrients to feed it. All you have to do--as cliche as it sounds--is add water. Select your container, one that can hold three times the volume of finished mixture (once active, the starter will double in size). I use mason jars for maintenance and larger plastic storage containers for bulking up the starter before making bread. Weigh out the water. Add the flour. Stir until well mixed. Cover with plastic wrap or anything that will keep the moisture loss low and can allow for the escape of gas. Let stand at 20°C (68°F) to 27°C (80.6°F), with an optimum at closer to 26°C (78.8°F). This is the range of temperatures which encourage yeast multiplication, which is what you want. For more detailed information, click here. The mixture will be thick and a bit lumpy at this point. But don't worry, it will quickly turn into a globby, bubbly mess and stay that way. At around 12 hours, take a look at how the starter is doing. If it is a little bubbly, nor not bubbly at all, give it a good vigorous stirring to oxygenate the mixture, and let sit for another 12 hours. If it is very bubbly and kind of gooey, then you will want to begin feedings. For the first couple of days, the Lactobacillus have yet to establish themselves and create the proper acidic environment, so you have a mixture of bacteria and some yeast. So even if your starter is bubbly, it might smell a little off because it isn't ready. But it will get there. Stir the starter and measure out 50g (discard the remaining starter or find someone else to pawn it off on). Mix the 50g of starter with the 50g of water. When dissolved, add the flour and stir vigorously to mix well. You will feed your starter every 12 or 24 hours when kept at the temperature ranges above. How often depending on how it grows or how fast you want to get it up to speed. Regardless of how often you feed it, you will not want to use it before 5 or 6 days. Mind you this is 5-6 days of the starter behaving appropriately (i.e. rising to nearly twice its size after each feeding). If your starter cant double itself, it is going to have a very hard time doubling the volume of your dough. To determine when the starter can be fed, it should have doubled in size (or nearly so) indicating a rapid growth phase. Many suggest feeding it when it collapses or when it begins to collapse. That works OK, but in doing so, you risk a lag of up to a few hours before the yeast get back into a high growth phase. That is fine when you are merely maintaining a starter, but for the initial production, I prefer to feed it before it collapses and the growth rate is still high. If at 24 hours you still have no bubbles, you might need to start over. There are a variety of reasons why you didn't get anything, or you got something you suspect is very wrong. I suggest simply trying again, but if it doesn't work the second time, try the troubleshooting tips below. Possible Problem 1: Your flour was bleached or otherwise processed too much. Bread makers tend to go for unbleached, organic flours to get the starter going because they are less likely to have been highly processed and thus still have plenty of natural yeasts. This is easy to fix. Buy organic whole wheat flour. You can switch to all purpose after a few days. Possible Problem 2: Your water is highly chlorinated. Depending on how chlorinated the water is, the fix is either simple or complicated. If your municipality uses chlorine to treat the water, the chlorine can be removed by letting it sit out for a couple days on the counter. If the water contains chloramines (another form of chlorination), then that will not work, as they are rather stable. If that is the case you can use bottled drinking (not distilled) water. I myself use tap water and haven't had a problem. Possible Problem 3: It was too cold. Try again, but keep the starter a little warmer. You should have a pretty happy little starter and the smell should be pretty developed. It should be active and bubbly and routinely double in size several hours after being fed. At this point and you can switch the feedings to all purpose flour to create a white wheat starter. Well, I haven't been doing this long, but it isn't hard. Take a little, add equal parts flour and water, put it back. When I want to use it, I just increase the amounts of starter, flour, and water I add so that I will have enough for my batch of dough. When the leaven is strong, you can add 2 or 3 times as much flour and water as you do starter, as long as the flour/water ratio stays the same (ex. 100g starter, 200g flour, 200g water). I keep mine on the counter because we've been using it a lot. If you will not use it frequently, I would feed it, put it in the refrigerator, and then take it out, at most, weekly for feedings. Some say every 2 or even 3 weeks, but I like a strong, capable starter, so I'm not taking any chances. If you do refrigerate it, you will probably need to feed it normally for a couple of days to make sure it is very active. Your starter should be ready to use in 5-6 days. As long as the starter dough is fed flour and water daily, the sourdough mixture can stay at room temperature indefinitely and still remain safe and usable. I'm not going to talk about bread recipes here, but you should know that using a starter requires some planning. You need to stop discarding the starter to build up your supply. You will want to keep the ratios the same (one part starter, one part water, one part flour by weight) for a few days and soon you will have a bucket of starter ready to go. The day you wish to bake with your starter, I advise you use it when it has doubled and before it falls. Meaning you don't want to feed your starter and then immediately use it, you need to give it time to eat and multiply. Without naming names, I will list two of the more horrifying things I saw being advised on the internet while researching my own starter. If you discover your starter has mold or black liquid on it. Don't just pour it off and soldier on. Your starter should not contain anything that looks darker or hairier than what you put into it. Flour and water are not dark and hairy. If your container starts to contain dark fluid or fuzz of any kind, discard immediately and begin again. And for the love of all things good in the world, do not use it to make bread. A starter is not a fish. Do not sprinkle flour on the top of your starter as if little yeasts are going to dart to the surface and gobble it up. The yeast will die off and that creates an environment in which mold can grow (see above). Unfortunately, feeding your starter is more involved than just tossing a few pinches of flour at it. With this you should have all the tools you need to tend your little pot of wild yeast. You can even name it, like our Mr. Stinky. Typo -- after the mold or black liquid heading "solider" should be "soldier" . . . I think. I think you should have a contest for great starter names. With a prize. Perhaps some starter? Ah thanks, that is correct. You know, I was thinking of doing a 'Not so Humble Pie' contest next month. In Mid-May I will be on the road (and in the air) in the UK and in Morocco. Away from my kitchen I won't be able to cook quite as much and I wanted to keep things lively around here. I have a starter I made over fifteen years ago. It lives happily in my frig and even survived the 10+ days of no electricity after Ike. Homemade starters are far superior to those bought ones that the websites tout. 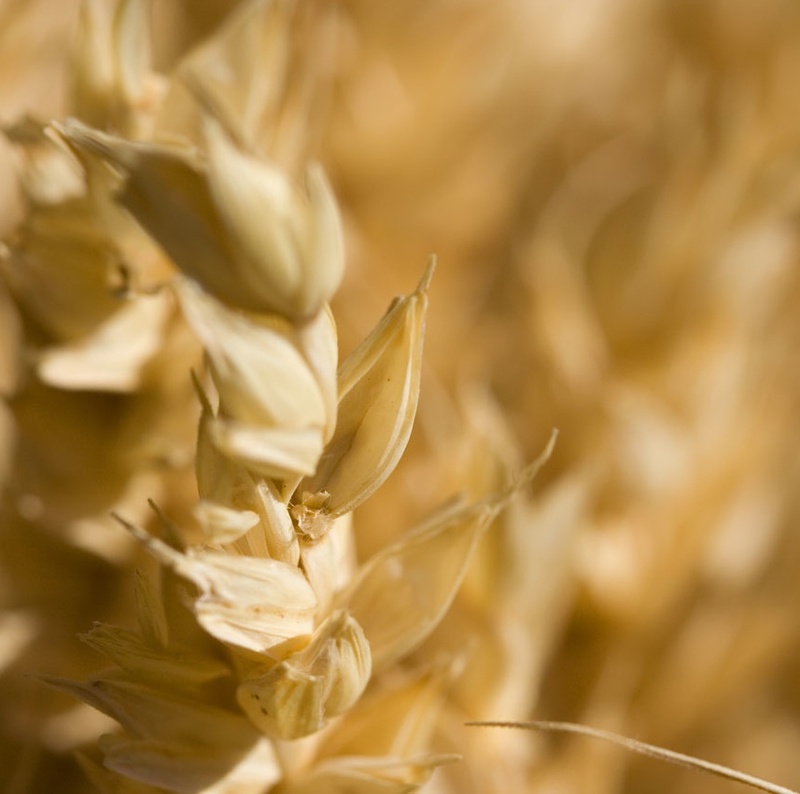 You need yeast that thrives in your conditions, not in the bakery. I like to thank your friend the mother for her advise about the licour on top of the starter. Make a pie? For a handmade prize from Morocco? I'm in. I just wanted to comment that you are both very readable writers. I might even try this when I have extra time. I enjoy the blog. you are more original with sourdough names than I am. Mine is named tamagotchi. Cooking contest sounds great -- the Farmers Markets will be starting up again with yummy local produce. And prizes from Morocco? You'll crash your server! But it sounds like fun! I'm in. great post... never made a starter but will give it a go! & ms. h...thank you for keeping it "lively!" You might want to elaborate on hooch. It doesn't hurt the starter to stir that back in, as long as it looks beery. I have never had a problem making starter from plain flour and water, I just cover the jar with a bit of thin dishtowel and let it stand outside on a nice warm afternoon to catch local yeast. Don't pick a super windy day and watch out for anyone spraying pesticides. You may not have luck starting one indoors because our indoor air is so filtered these days that there just isn't enough yeast. Oh, and it's an old texas cowboy tradition to name your starter. Ours is named Gus. For those of us who aren't scientific or don't have a small scale, can you translate grams to cups for each of the measurements? Thanks!! This sounds so good!! You made the starter process seem a lot easier. Like you, I did searches on the internet for info on starters only to end up confused and defeated. Now, I think I'll actually go ahead and try this out thanks to your clear, detailed instructions. P.S. The word "Lactobacillus" is singular, and its plural counterpart is "Lactobacilli". I love Latin! Thank you so much for this post! I have started my own starter (Miss Mango) and I can hardly wait to try to bake with it...if I could figure out how to use it in the recipes for bread that I already have (do you then leave out the yeast in a ciabatta recipe and some of the flour and water?). I'm actually really impressed that my starter has been growing so well and is so thick. It certainly smells right! Plus, I just want to say I love your blog. I have a baking blog too and can't post as often, but you definitely inspire me to keep going with my passion for baking! Thanks! Yes I will do that soon. I'll get out my scale and measuring cups and figure out the relative volumes for equal parts starter/flour/water by weight and post them to the blog in cups/etc. I'll work out the details of that soon and post the contest officially. Also, I have two sourdough recipes lined up. Not for this week but probably next. So if you're creating a starter you'll have plenty of time to get it healthy and vigorous. Okay, going to tackle a few of the questions this morning before I post today's dish. First on catching local yeast from the air for your starter. Actually, this is a long held myth (plausible, with effort). Yes, there are wild yeast everywhere and on everything. However, when it comes to sourdough starters what makes and contributes to the flavor of your stater is not your air but your own ingredients and practices. Now someone is going to stand up and shout "Ms. Humble, how do you explain the regional differences between starters then if it is not the air! What about San Francisco's famous sourdoughs!" Granted there is a type of bacteria called Lactobacillus sanfranciscensis in many of those San Fran sourdoughs. However, before anyone credits the air, let me note that this species is frequently found, not just in San Francisco where it was first discovered, but all around the world. When you make a starter, several organisms go into the mix and the environment you create inside determines which organisms will thrive. It is the traditional methods and practices of a region that determine the resulting starter. The type of flour plays a roll in this, the temperature, and the feeding routine determine the end result. Do yeasts from the air make it into the starter? Most likely, like I mentioned above, they are everywhere. Though, when it land they'll find themselves in the mix with many, many other yeasty buddies. 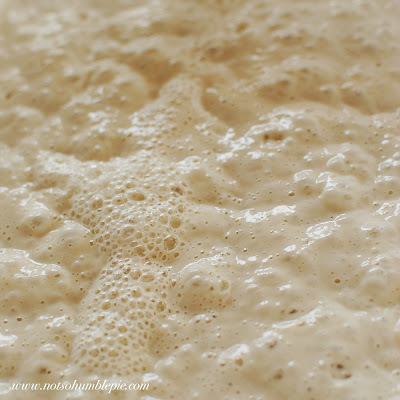 If you think about it, were one able to capture yeasts in the air than one would be able to start a sourdough starter with sterilized flour (one for which all the natural yeasts on the grains have been killed). I've heard of one bread aficionado named Ed... Woods? (I think, I'll double check on google) attempting such an experiment and was never successful. It is plausible to catch wild yeasts from the air and create a starter, however I think they would need to be caught and grown elsewhere (like by my husband in his lab) before adding them to the starter. 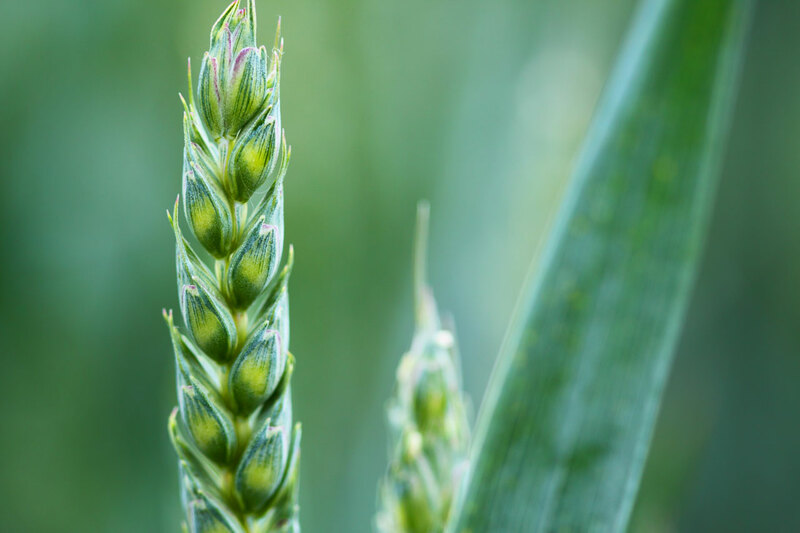 The viability of a starter relies on a good sized population of yeast taking hold and Lactobacillus creating the proper environment, one that inhibits the growth of mold and bacteria soon after its creation. I'm not certain a smattering of wind blown organisms would be able to do that quick enough. I've been toying with the idea to make my own beer yeast. My partner brews his own beer, and since I'm the scientist, he wants me to grow some yeastie-beasties. I'm hoping this is similar to making yeast for bread. If that is the case, then it looks like this would be plausible! Well, this is easy enough to test. I'll take 50g of flour to work tomorrow and use some autoclaved water and grow a little starter in my spare cell culture hood, to compare length of time it takes a starter to get established. Sweet! Let me know how it turns out. Set up some controls, maybe try different flours (organic vs bleached etc)... might be a paper in this! Is there a Journal of Bread? "Cover with plastic wrap or anything that will keep the moisture loss low and can allow for the escape of gas." Just a note: using off-brand plastic wrap (i.e., not Saran) will aid in this process. Surprisingly, Saran wrap is telling the truth when they say that they block diffusion; we do shell-less incubations of fertilized domestic chicken eggs in my lab occasionally and, if you use Saran wrap, the embryos cannot breathe! So, to keep your aerobic yeast happy and healthy, go for the cheap plastic wrap. This is super interesting. But, how do you use the yeast? Can you use it as a substitute in any bread recipe? Is there a specific conversion from packets? The short answer is yes, usually. However you have to modify the recipe to adjust for the flour and water that is already in the starter. In my own kitchen, so far we've been cooking with recipes that call specifically for starter. Occasionally we'll modify a recipe that calls for a poolish, biga or other preferments to use a starter since they are very similar. If you're interested in more in depth information on how to convert recipes thefreshloaf.com would probably be a great place to start. Would I be right in thinking that boiling tap water and letting it cool will speed the release of any chlorine? I'm about to attempt a gluten free wild yeast starter using buck wheat flour. Thought about using Teff flour but it is very expensive and tricky to find here. I've been wanting to make sourdough for a while now and had been searching the internet when I realized, I'm sure Mrs. Humble knows!!! Therefore, I was very glad to find this post. Looking for some troubleshooting advice though, it's been four days now and Abraham is very happy and bubbly, but none of this "doubling in size" everyone talks about. There is a little bit of increase after feeding, then a liquid forms on top of the culture (there, I've betrayed my science background...) and it goes back down. Does it just take more time for him to start doubling, or should I start fresh? Sounds like your starter is getting there but could use a bit of a boost. It does take a few days for the right conditions for the yeast to be created in the starter culture, so four days without doubling isn't worrisome. The next feeding I would give it a little organic whole wheat or rye flour, the freshest you can find (check the bulk section of organic food stores with good turnover). Continue to feed it that flour until it has a good doubling routine and then switch back to your preferred flour. Keep the mixture in a warm spot (but not too warm). In the winter we keep Mr. Stinky near the refrigerator, as it puts off a good deal of heat. Keep an eye on it, it may be doubling and you're just not catching it at the right time of day/night. How right you were Ms. Humble. Almost as soon as I had begun to despair of my sad little jar, it found all sorts of life and I made my very first loaf of sourdough bread today. Of course I couldn't wait for it to cool so I've been eating steaming pieces of sourdough, how delicious! Saw your comic about raising yeast, I'm afraid I don't feel guilty at all as of yet, just excited to embark on lots of sourdough adventures! Thanks for all your help, as Mr. Humble said, there are many *weird* things out there on the internet, I was very glad to see you had a post on it, I knew you wouldn't steer me wrong. So glad it worked out. Now just keep your little pot of yeast fed and happy and it in turn, will keep you fed and happy. I was wondering if you all had ever thought of a sourdough made out of rice flour? I don't even know if this is possible but I am Celiac and drool over the sourdough I make for my family. I've been putting off making my own starter for long enough. I was very happy to find this post, since I've never attempted it before. I just have one question: for the feedings, does it matter what kind of flour you use? Flour matters to a certain degree. You want the most wild yeast possible when creating a starter with this method, since we're not relying on other sources of yeast (from bits of fruit etc). Cake flour is so heavily bleached and processed that little of the grain's wild yeasts will remain in the flour. I recommend getting your starter going with either organic rye or whole wheat. Once you get the starter going and doubling regularly, you can switch over to whatever flour you wish to use (all purpose, bread flour etc) to bake with. After several feedings with your primary flour and a good doubling routine, you can begin baking with it.